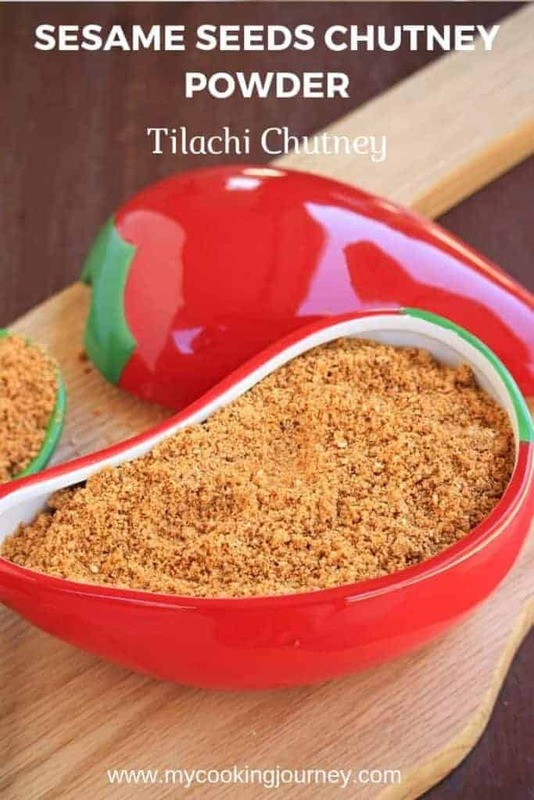 Tilachi chutney or sesame seeds chutney powder is a flavorful and quick to make recipe that can be eaten with rice or bread. Sesame seeds, I can’t describe how much I love it. It is one of my favorite seeds to work with and is so healthy as well. I use sesame seeds almost on all my breads as a topping. It not only adds a beautiful color and crunch to the bread but also enhances the flavor with each bite. Apart from just adding it as a topping, sesame seeds can be used to make ready to mix rice powder. 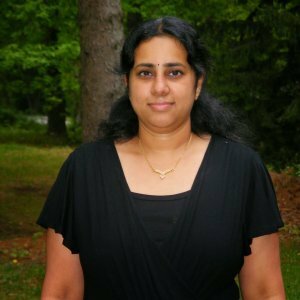 I love my ellu podi saadham / sesame seeds rice and make it often as prasadam. 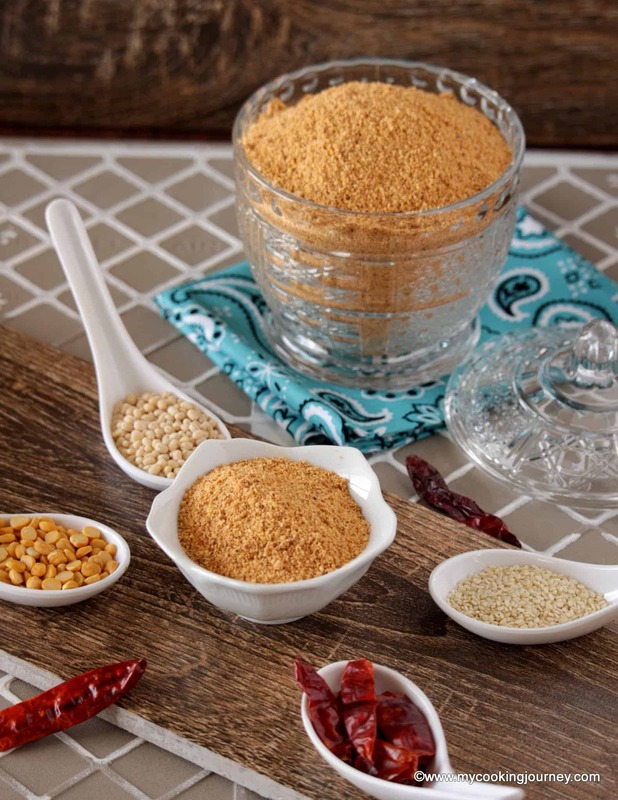 Sesame seed is also an important component in Pulikaachal / South Indian Tamarind paste and Dosai Milagai Podi / Spiced chili powder for idli and dosai. 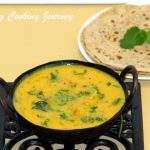 These are two basic recipes that is a must in every South Indian kitchen. How can we forget desserts when talking about sesame seeds. 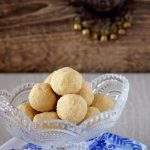 They make the best ladoo and I have two different recipes to make them. 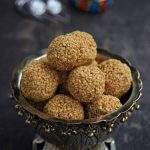 Tigul Ladoo is made with whole sesame seeds and this ellu urundai is made with ground up sesame seeds. I also make a lovely Chinese peanut brittle with sesame that is so delicious. 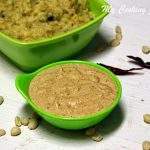 This Tilachi Chutney | Sesame Seeds Chutney Powder is so flavorful and I have been eating it with literally all my meals. 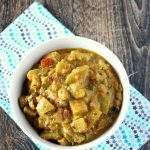 It tastes amazing with rice and some ghee. 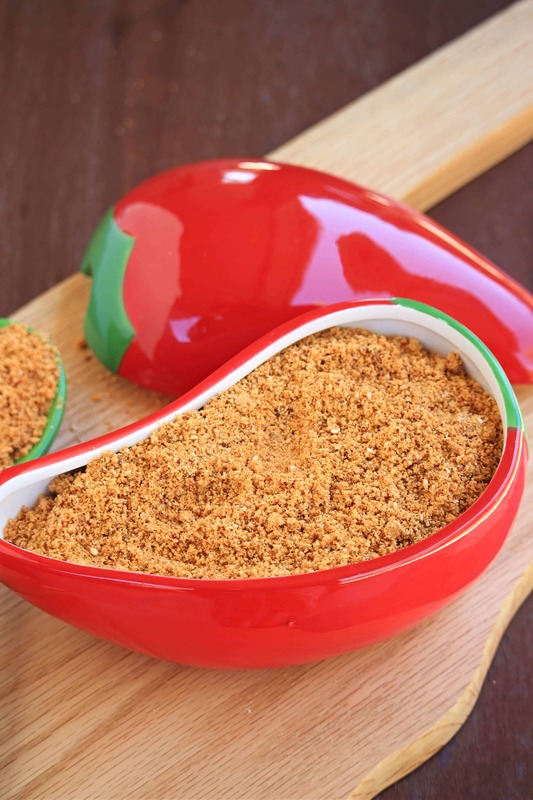 Over the weekend, I am going to make some paratha, layered with this sesame seed chutney powder. I made a few changes in the recipe by adding desiccated coconut and a little bit of brown sugar for flavor. 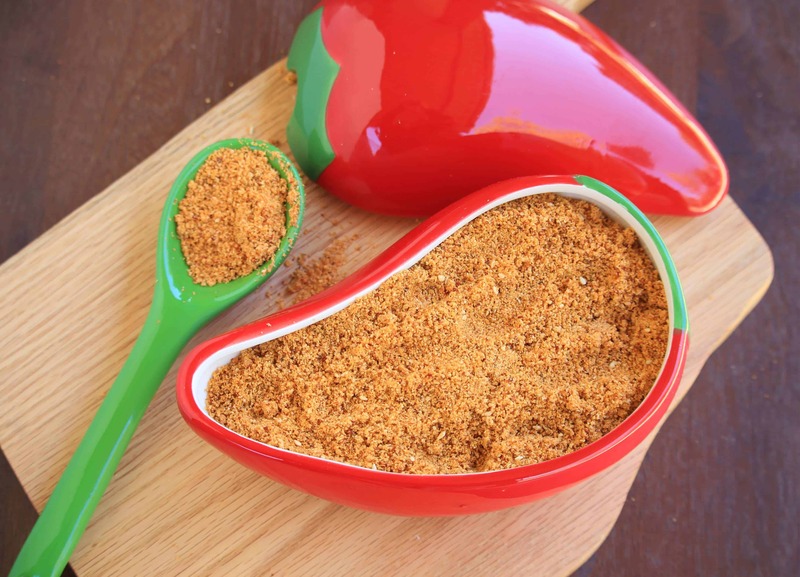 I also used whole red chilies instead of the originally mentioned red chili powder. 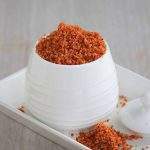 Using Kashmiri Chili gives the Tilachi Chutney | Sesame Seeds Chutney Powder a beautiful color and at the same time keeping the spice level in balance. 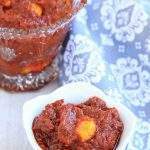 I have used Kashmiri Chili in the recipe, but use any chili you have in hand. I have used sea salt in the recipe and as per my mother’s advice, I roast the salt for few seconds to get rid of all the moisture. This step ensures that the chutney powder remains fresh for an extended period. Heat a pan and add the sesame seeds. Roast the sesame seeds in low to medium flame until golden brown. You will notice that the seeds start to crackle a little when they are roasted and also become very aromatic. Remove it in bowl and keep aside. In the same pan, toast the desiccated coconut until light brown. This happens very quickly, so keep stirring and keep an eye on it. Remove it in the same bowl along with the sesame seeds. Now add a drop or two of oil and roast the red chilies. Remove it in the same bowl. Dry roast the cumin seeds until fragrant and remove it as well. Add the salt to the hot pan and roast it for 10 seconds. This step helps remove the moisture from the salt and this helps in extended shelf life of the chutney powder. Now add the measured brown sugar to the bowl along with the rest of the ingredients and let it cool down to room temperature. 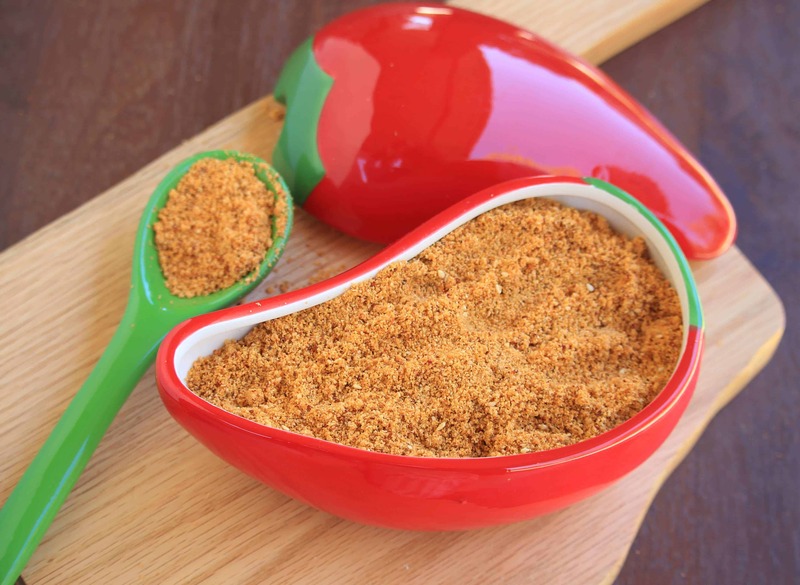 Grind the red chilies first to a coarse powder and then add the rest of the ingredients to the blender jar and grind to a coarse powder. Make sure you grind in short interval (or pulse them if you have the option). Sesame seeds have high oil content and can become like a paste if ground too long. Remove the powder and let it cool down for few more minutes and then store it in an airtight container. 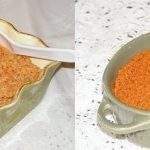 Til ki chutney or sesame seeds chutney powder is a flavorful and quick to make recipe that can be eaten with rice or bread. 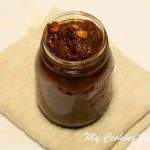 Sesame seeds chutney is our all time favourite condiment. 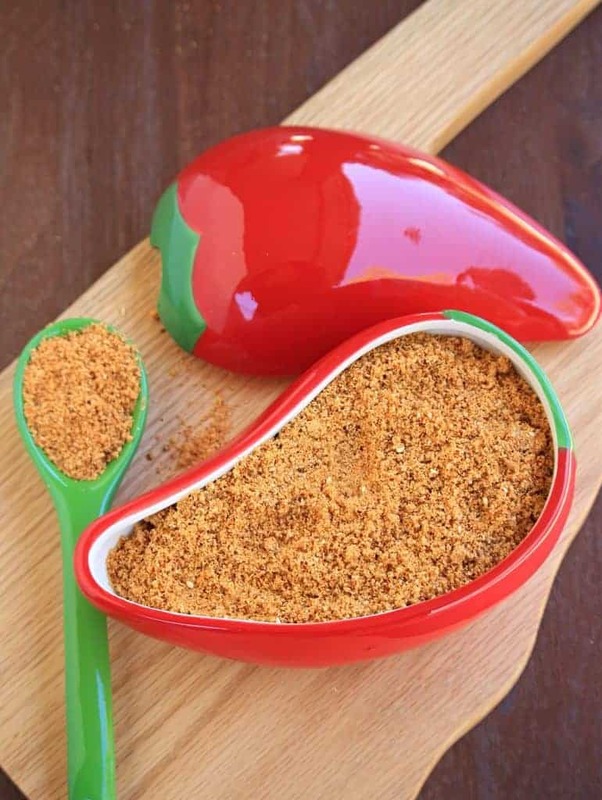 Loved your version with desiccated coconut and brown sugar.